The Delhi High Court will continue hearing the civil defamation case filed by Finance Minister Arun Jaitley against Delhi Chief Minister Arvind Kejriwal and other Aam Aadmi Party leaders. NEW DELHI: The Delhi High Court will continue hearing the civil defamation case filed by Finance Minister Arun Jaitley against Delhi Chief Minister Arvind Kejriwal and other Aam Aadmi Party (AAP) leaders, today. Jaitley had filed a civil defamation suit against Kejriwal and five other AAP leaders, including Ashutosh, Kumar Vishwas, Sanjay Singh, Raghav Chaddha and Deepak Bajpai. The AAP leaders had accused Jaitley of corruption during the latter’s tenure as the president of Delhi and District Cricket Association (DDCA). In his complaint, Jaitley accused Kejriwal and others of defaming and sought Rs 10 crore as damages. 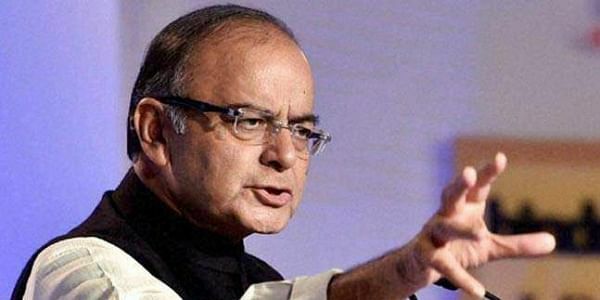 Jaitley was president of the DDCA, from 2000 to 2013.